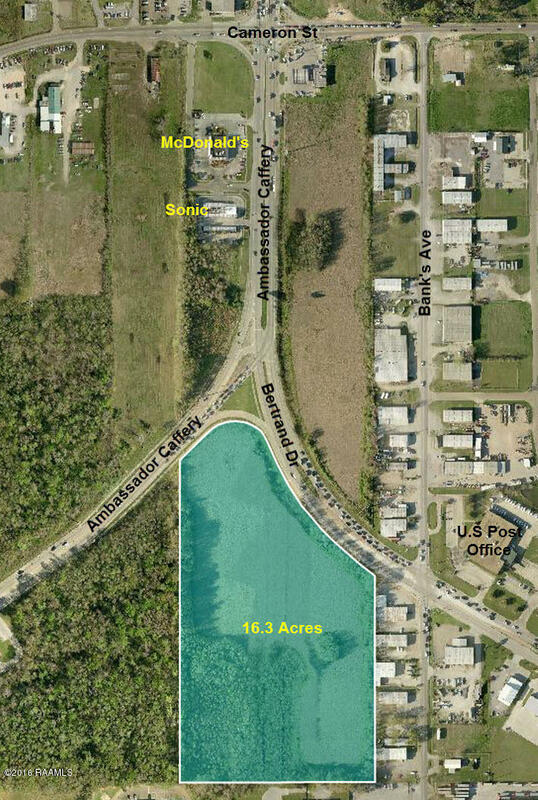 16.3 acres at intersection of Ambassador Caffery Pkwy & Bertrand Drive forming a ''Y''. Rear access via Luke Street. Zoned Commercial Heavy.